Published on December 20, 2011 December 19, 2011 by cara.b.b. 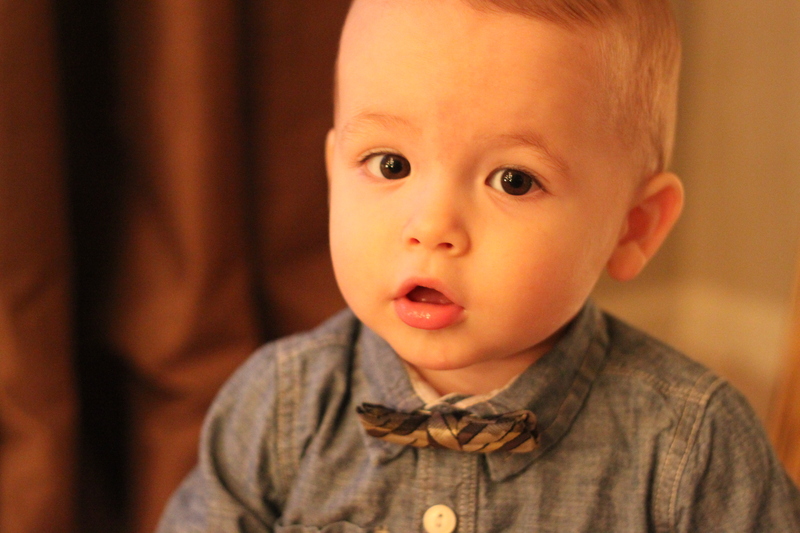 the weekend before last, we attended a darling ‘bow ties and balloons’ party for one of beckett’s buddies, remington. 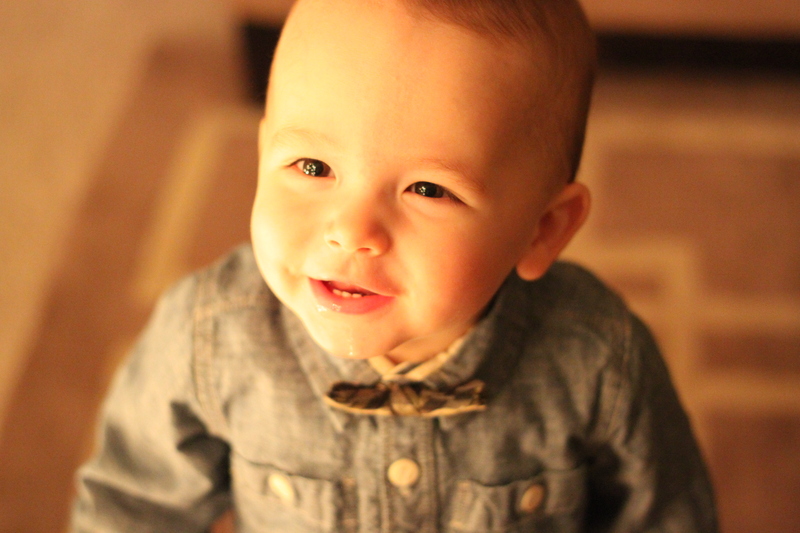 the party favors were vintage bow ties, and beckett looked so dang cute that when we got home i had to take some pictures. here’s our handsome little man all aglow from the light of the christmas tree. we had some help from daddy to get these smiles. 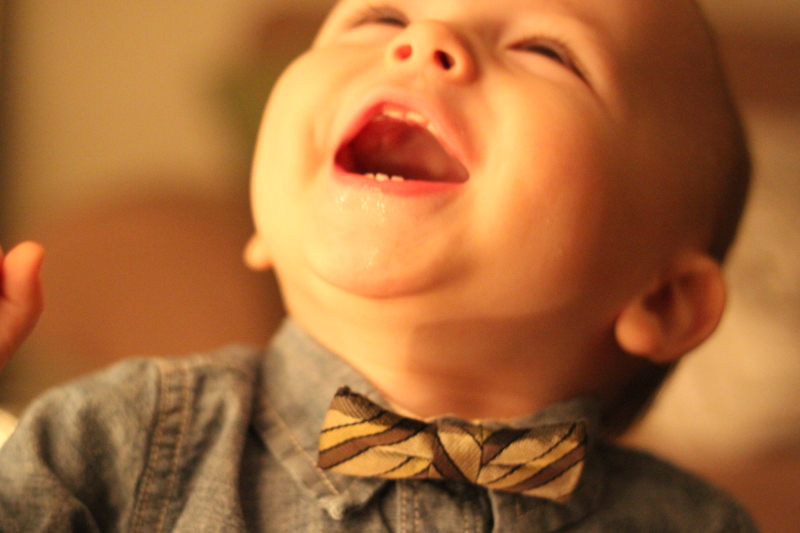 he was jumping up and down, which beckett thinks is hilarious. b is working on his jumping too – he lifts up on his tippy-toes and gets the biggest grin on his sweet face. he’s so proud of himself. he is also cutting six teeth right now and his handling like a little champ. his other new trick is telling us what santa says – ‘hoooo’. he is picking things up so quickly now and doing something new nearly every day. it is pure joy watching this little boy grow up. What a beautiful child and what beautiful memories. What a Joy to see all his beautiful smiles and to be able to watch him grow!! Thanks for sharing!! !